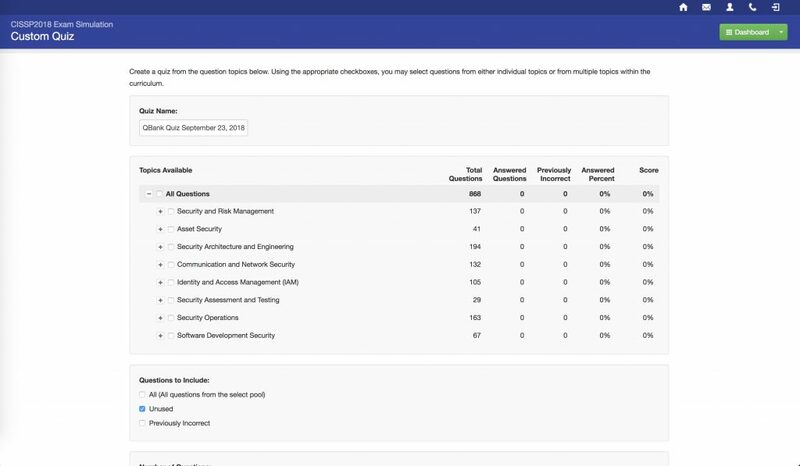 Available with Cybrary for Business and Cybrary Insider Pro, this premium application provides a catalog of certification practice test software to build your confidence prior to sitting for the industry certification exam. Access optimized tests, practice tests and flashcards – to assess readiness. View incorrect answers with detailed explanations to learn as you go. Certification practice tests for CompTIA, EC-Council, ISACA, ISC2, Cisco, VMWare, PMP, Axelos and more.